Pump up the Jammers and let the action begin as the @TORollerDerby straps on their skates for the semi-final battle in the ladies flat track roller derby on Saturday August 25, 2012. 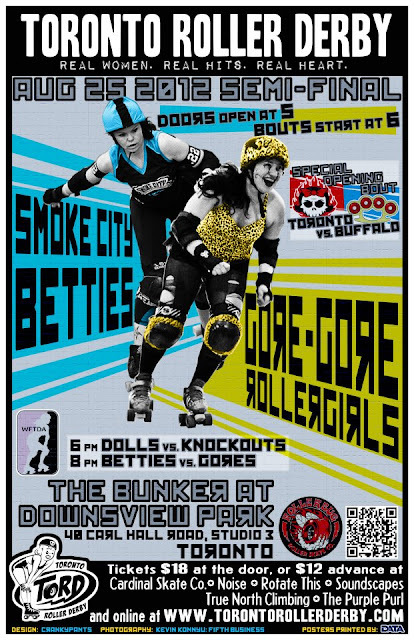 The ToRD stands at the Bunker in Downsview Park will be full of cheering fans as the full contact sport brings out two games in this special double header night of action. 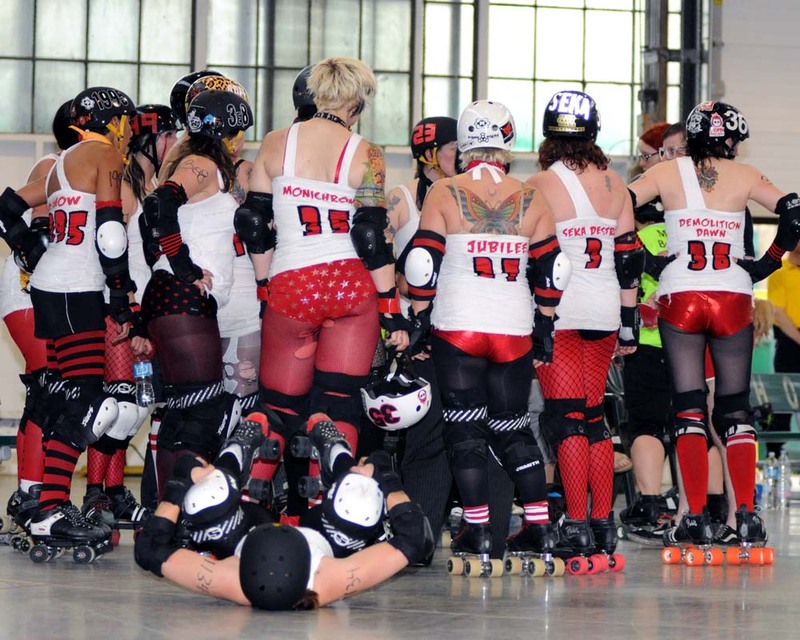 First up at 6pm is an International game with the Death Track Dolls against the Nickel City Knockouts from Buffalo, New York. The second bout starts at 8pm and features the Gore-Gore Rollergirls (Toronto's savage sweethearts on wheels) against the Smoke City Betties competing to go into the finals against defending champions Chicks Ahoy. Doors open at 5pm and tickets are $18 at the door (buy in advance and save $6!). You can pick up a slice of pizza at the track and enjoy some adult beverages in the licensed arena. Beside stand seating you can bring your folding chairs and blankets.